Rent The Burkeshire Plantation | Corporate Events | Wedding Locations, Event Spaces and Party Venues. Imagine your dream wedding or special event surrounded in breathtaking beauty and distinctive Southern charm. The Gardens at Madeley Manor is the ultimate wedding venue and special event location as it creates an ambience of simple elegance blended perfectly with classic Southern Plantation style. 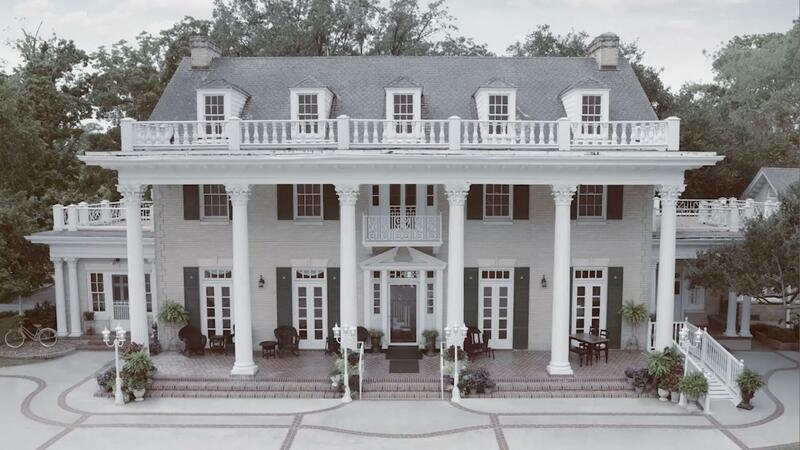 Situated among 100 year old Oak trees and beautiful landscaping, this 1930’s grand mansion located within minutes of The Woodlands, Texas, provides the ideal venue to host your wedding, gala, luncheon or special event. You and your guests will be welcomed with the best that Southern hospitality has to offer in this truly unique and elegant location with expansive grounds and lush gardens. Our staff at The Gardens at Madeley Manor will help you create an event with treasured memories that will last a lifetime. With touches of elegant sophistication and Southern Texas charm, this event venue offers an ideal indoor and outdoor setting for your next seminar, executive dinner, corporate fund raiser, team building event, or Holiday party. Treat your employees to a group luncheon, delicious dinner, or a carefully crafted theme party, such as “Casino Night” or “Footloose". The plantation features a stately Southern mansion with over 6,500 sq. feet on three acres of landscaped grounds, covered with majestic Oak trees with 100 year history.